1-800-SWEEPER has partnered with John Lankford of Premier Executive Forums to develop and implement a new leadership curriculum specifically designed to develop leaders for the power sweeping industry. The leadership training program is offered through the National Pavement Maintenance Leadership Academy. Recognizing that most of our sweeping company Partners and their employees have not had any formal leadership training and that most leadership courses and workshops wouldn’t adequately address specific nuances of the power sweeping industry, the 1-800-SWEEPER Board of Directors partnered with John Lankford to create the National Pavement Maintenance Leadership Academy. Lankford is a nationally recognized executive coach and speaker having earned a reputation in the business world for his corporate and entrepreneurial experience leading businesses and individuals on a path to success. John is leading NPMLA, assisted by Julie Kowalski, a highly accomplished performance strategist and speaker with over 30 years of hands-on experience blending management and performance technologies to drive results. 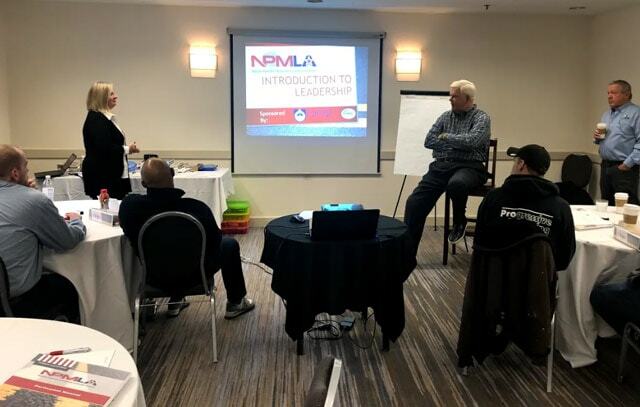 NPMLA provides attendees a complete leadership curriculum specifically designed to develop leaders for service providers in the power sweeping industry. We encourage our members to take part in this unique and vital training. If you have any questions, see npmla.com or reach out to Ben Steyer via phone or email. By leveraging mobile phone technology, the 800 App improves customer service and speed of interaction between our partners and customers. The 1-800-SWEEPER App is another way 1-800-SWEEPER differentiates itself from others in the power sweeping industry. Download the 1-800-SWEEPER App today! When the 1-800-SWEEPER co-op was created in 2011, our tagline “Nationwide Service Alliance” told a story about our goals- offering a coast to coast contingent of individually owned power sweeping service companies. In addition to sharing valuable knowledge, a joint marketing platform and buying group opportunities among the participating companies, “Nationwide Service Alliance” showcased our ability to service multiple locations using a unified billing and providing consistent service. As the organization evolved, adding new sweeping Partner companies along the way, we added “Experience the Difference!” as our slogan. This update recognized that as “insiders”, we knew the benefits but potential customers should look at things that set us apart from others in the industry. Customers looking for sweeping services – or potential Partners thinking about joining the organization should take a closer look at 1-800-SWEEPER to appreciate attributes that set our organization and our members apart. Recently, we realized that some in the industry had a perception – really a mis-perception – that our recognizable toll-free number was “THE ONLY” benefit of joining 1-800-SWEEPER. 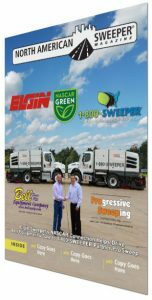 The September 2017 issue of North American Sweeper hits a trifecta of coverage for our group highlighting the relationship between Elgin Sweeper Company, one of our 1-800-SWEEPER Member Partners, ProSweep and vehicle dealer Bell Equipment. 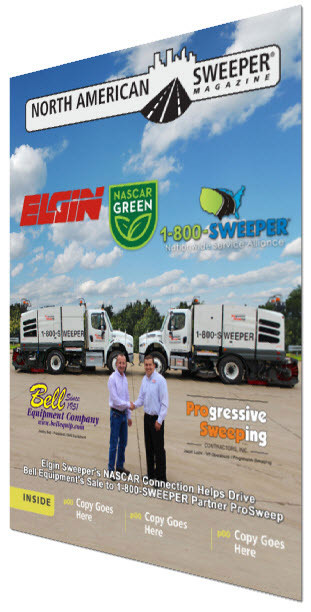 All three companies are tied together in a story that highlights Elgin Sweeper Company as one of our newest Vendor/Partners to support our co-op group. Elgin brings exclusive 1-800-SWEEPER discounts and unique social/entertainment value of NASCAR to our membership. Elgin Sweepers have been an essential part of keeping NASCAR events safe for over 15 years. In 2013, Elgin became the Official Sweeper of NASCAR Green. As the Official Sweeper of NASCAR Green, Elgin sweepers support NASCAR’s Air Titan equipment to dry rain-soaked racetracks, saving jet fuel and reducing NASCAR’s overall carbon footprint.